It may seem like an uphill battle, but we’ll ease your climb. Martin Pringle has extensive experience representing individuals and the families of individuals who have been seriously injured or killed as a result of the negligent or wrongdoing of others. 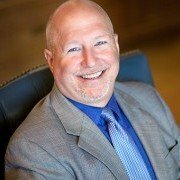 Our firm represents individuals injured in all types of situations, including motor vehicle accidents, construction site injuries, equipment-related accidents, harm from dangerous drugs, premises injuries, toxic exposure, environmental injuries, and a wide array of other dangerous practices or situations that result in injury or death.